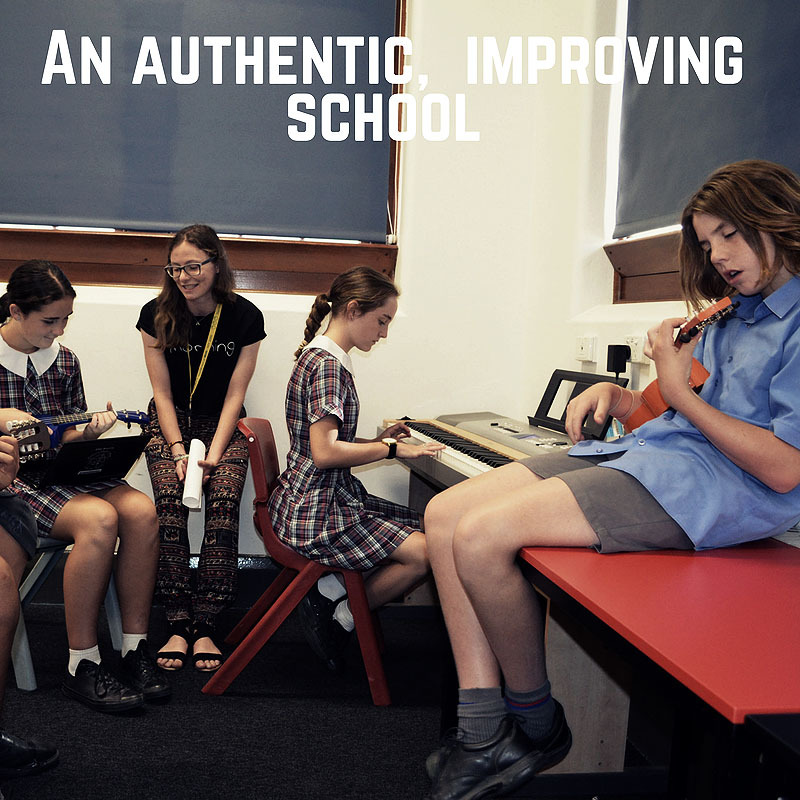 An authentic school has a clear moral purpose and a collective responsibility for student learning and wellbeing. Its leaders do what they say they are going to do. There is a focus on improving a few important things, starting with improving the quality, coherence and consistency of teacher practice as the key lever for improved student learning. An improving school, with a plain-English and widely advertised improvement plan. The first work is to improve teacher and student classroom practice and build effective teams. We do this by identifying a small number of the most important things and making sure everyone knows what they are and why they are important. Use of a simple model of what an effective lesson looks like and a plain English checklist of what to expect in each lesson. Improving the coherence and sophistication of student writing. Building numeracy and literacy confidence in the middle school. Better use of data to assist teachers and Intervention Team members to give the right support to groups of students and individual students. Effective age-appropriate homework, with an online numeracy and literacy focus for Year 7 and 8. A Coaching for Academic Care and Wellbeing model of student care.